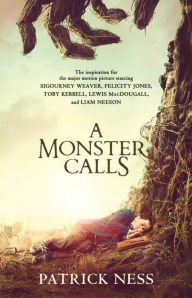 After Chaos Walking, I had to read A Monster Calls -- especially having seen the movie-tie in edition making the rounds. I flew through it in about an hour and a half, but not because it was trivial or plain. On the contrary. It is one of the best books I've read this year, indubitably. While in no way being trivial or plain, it is elegantly simple and tight. It's also imagery-rich, funny, real-feeling and Gaiman-esque. I became pre-occupied in marvelling how Ness' brain works at its close. The writing is so good, the story so strong and the entire thing so tastefully and masterfully executed, I have to recommend it to one and all. Unlike Chaos Walking (a.k.a. a profound gut-puncher), this one's for everyone. *I hear a nuanced performance by the child star in the film adaptation steals the show. I will most definitely be seeking it out. So glad I read this.